Police in the Scottish Borders are appealing for witnesses following a high-value housebreaking in Hawick over the weekend. The incident happened between 12 p.m. on Friday 28th and 4 p.m. on Saturday 29th April at an address in Sunnyhill Road. During this time entry was forced and various items of property were stolen from within. These include eight gold rings set with precious stones, ten broaches, eight necklaces made from gold and silver, three watches and a thee-figure sum of cash. Local officers are now conducting inquiries to trace those responsible and anyone with information is asked to come forward. 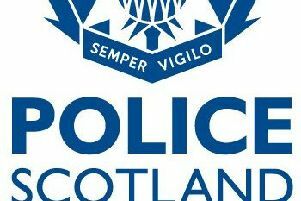 Constable Bruce Dodds from the Community Investigation Unit in Galashiels said: “Various pieces of jewellery that hold both financial and sentimental value were stolen during this break-in and we are conducting a robust investigation to identify the culprits and retireve the stolen goods. “Anyone who remembers seeing any suspicious activity around Sunnyhill Road between Friday and Saturday should contact police immediately. Those with information are asked to contact the Community Investigation Unit in Galashiels via 101 and quote incident number 3369 of the 29th April. Alternatively, make an anonymous report through the charity Crimestoppers on 0800 555 111.